I'm currently busking on the streets with an acoustic guitar and a mic, both connected to a small portable amp. I'm pretty new to looping, but I want to use it for future busking. I played around with Loopy HD for a while, but it doesn't feel to be optimised for live environments, as it doesn't seem to offer handling groups of loops, and also doesn't offer timed ways to start/stop the playback of loops. GRL looks very promising to me. Before buying it though, I wuld l to get some feedback to the following question. I'm using an iRig 2 to connect my guitar to my iPad. I didn't yet find a was though to also connect my microphone. As far as I understand, both a guitar and a mic are mono sources. The iRig 2 sadly seems to offer only a single mono input. After browsing around I seem to have to buy a better interface that allows me to connect two mono sources, which (to my understanding) then are combined to the left and the right channel of iOS' stereo input. In GTL I can then choose in the settings whether I want to record the left, the right, or both channels. Is this correct? Some of the alternatives to my iRig 2, offering two inputs, seem to be Zoom U-24, Line 6 Sonic Port, iRig Pro Duo, and Behringet UCA222. Would they all suit my needs? Is there maybe some other alternative that I missed? And can I easily change the setting for left/right/both recording while live looping? For example, sometimes I want to record only my voice for a loop, and sometimes only my guitar. As lomg as I'm only singing, or only playing guitar, I could simply set GTL to record left and right. But when I sing and play guitar at the same time, but only want to record my voice - can I easily change to this setting in GTL while live looping? PS: with "timed ways" I mean CUE. Yes, it's fairly easy to switch between inputs on the fly and you can also control this setting with a MIDI controller. Like I said before if you want to record both inputs simultaneously and you don't want them split left/right on the output then you will need some sort of input mixer. Either an interface or the Audiobus app will do this although personally I prefer hardware as it keeps the setup simple. Connecting apps together is great but does add an element of risk when performing live. Thank you very much for the helpful answer, mate. Yes that is correct although GTL does not have a mixer on the audio input. Which means it will be one OR the other. You can link inputs 1 + 2 and record them together as a stereo input however this will mean input one will be played back out of the left output and input 2 out the right. I'm using a Roland street cube amp for performing on the streets. It has two membranes in it, so I think one is the left and one is the right stereo channel. As they are next to each other though, I think it doesn't even have a big effect on the audience's experience. As such I think it would be a minor inconvenience if all guitar loops would only play on the left, and all vocal loops only play on the right? Sure, if I can easily fix that using Audiobus, I will give it a try, but for having fun and fooling around on the streets it would be sufficient. Much cooler though would be if GTL had its own mini-mixer, so if I have stereo input, I could easily and on-the-fly change whether I wanna record in stereo, or record only the left or right channel, converting it to stereo (while either muting the other channel, or simply passing it through to the audio output). Not practical for my lightweight setup. It may sound silly, but I'm thinking about using my iPad with a foot instead of a hand (or a midi controller or pedal). No idea whether this is suitable, but I think it would be really powerful. So to change the input I will have to open the app's settings, correct? It would be cool to have a shorter way for that. Again: I'm very new to looping, so I'm simply brainstorming here, and maybe my questions are stupid. If so, you are welcome to point me in the right direction. I'm already convinced though to give GTL a try now. I just looked up the street cube, it does have a stereo aux input so you could certainly use GTL on its own through an interface. In fact if you put GTL in stereo link mode then you could use the panning on each loop to control the balance between your instruments. Another option is to connect the outputs of the interface to the mic and instrument inputs on the cube. Then you could balance the instruments after GTL on the amp. Although this would be after any mixing you do in GTL. I have not used any of the interfaces you mentioned. The first thing to check is if the interface works with IOS. For some of the mentioned you may need a USB to lighting adapter. Also you will need a high impedance (Hi-Z) input for your guitar. GTL supports MIDI control so you can control it with a MIDI foot pedal. It is also possible to change the audio input with MIDI commands so you should be able to do this with your feet. I hope to add an input mixer sometime in the future, probably a little while off yet though. 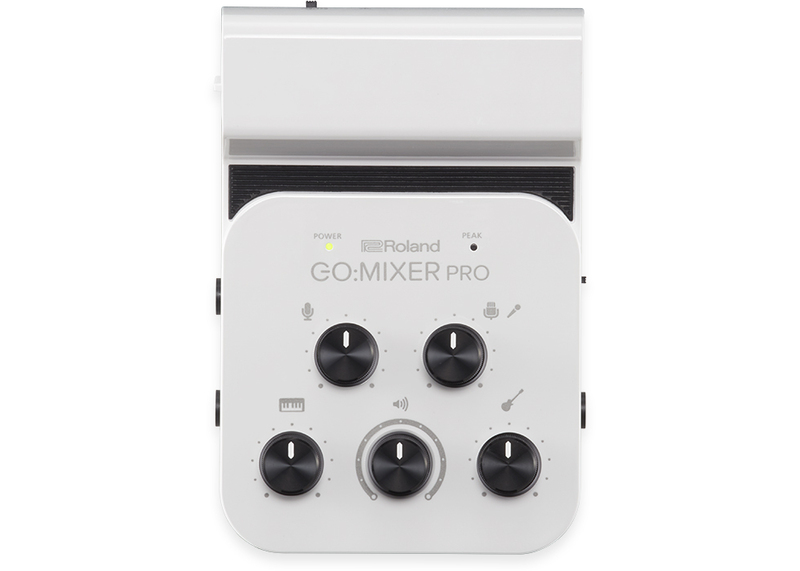 Check the Roland GO:mixer family to find something that maybe suits your needs. Article at CDM about the pro to deep analysis. 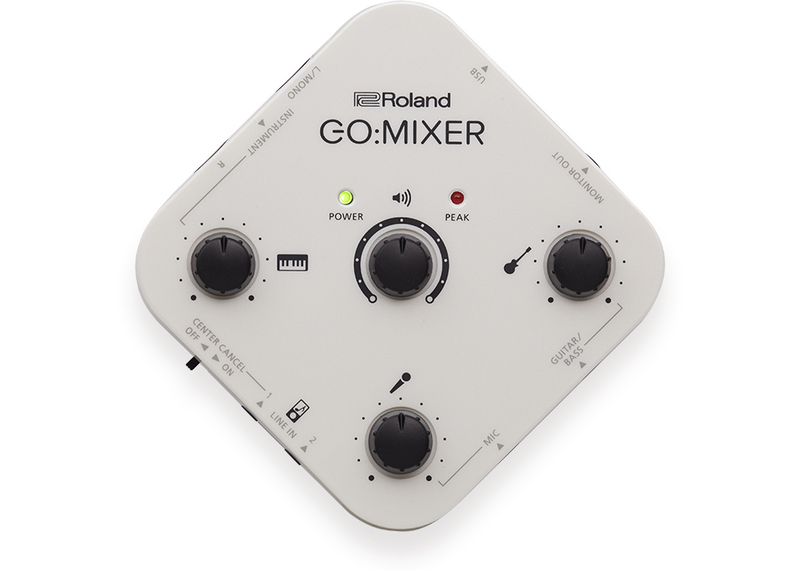 I looked at the Roland go mixer, and it looks promising. Although I only have an iPad 2 (don't laugh!) that doesn't have a lightning (but only a 30 pin dock connector), so it won't work. I then checked whether there is GTL for iPhone, as I have an iPhone 5 - but sadly no (not yet, as I read on the forums). So at the time being, I'm stuck on an iPad 2 with iOS 9, as I'm traveling around the world and don't want to replace it. So my question is: is there any way to get a stereo input for iPad 2 somehow, so I can record both my mic and guitar on each one of the left/right channels? Btw, I bought GTL yesterday, and it's a lot of fun! Keep up the good work. Note to myself: if I don't make things work like I want it (having both mic and guitar available separately in GTL), then I can still pre-record some voice or guitar loops into GTL sessions, and instead of actually recording them when playing live, I simply play them without recording, and then playback the pre-recorded ones. Not 100% honest, but close enough, and no difference to the crowd listening. Not sure myself, best bet is to ask on the Audiobus forum. I'm sure someone will know the answer. A side note: any solution involving the headphone jack mic input is no good. There is too much crosstalk between the input and output pins for it to be usable for live looping. The iRig mini jack devices use this method. You are better off with a USB audio interface. Hopefully there is a solution for the 30 pin connectors. Thank you Jack. I will post on the Audiobus forums and link any answer here. GTL is a nice app, I'm already having a lot of fun with it. Check my posts (find them at my profile) about fake it until you make it and backing tracks approaches, I'm very positioned towards it's all about the music. Maybe you will find useful info and some shortcuts. About the interface, I saw the post at audiobus forums, I will recommend you (with @jack permission) buy a Digitech trio+. You have most of the features from GTL and some others maybe a bit more busking oriented... and nothing stops you to use it in junction with GTL in the end. I think it will be a better investment than new iPad+cck+audio interface and buying something for the old iPad2 seems a bit risky for busking into my eyes. I was using Behringer is202 dock with my old iPad 3gen back in the days and, when it worked well, still was a so-so experience. I was using LoopyHD alone being my FX external and even so I don't recommend it for serious busking experience. I have a topic about the Trio+ here and at Audiobus forums. thank you dubby. i can’t seem to find the posts you mention. can you please link them?